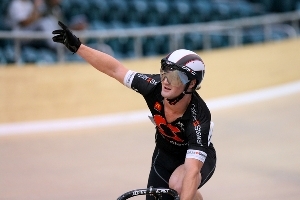 Mid South Canterbury's Jack Ford and Southland's Tom Beadle took Wheel Race victories in the feature races on the final night of Cycling Southland's ILT New Year Track Carnival on Saturday. Ford had too much horse-power down the final straight for Hayden Strong and Tom Sexton as the back-markers made up the necessary ground over the six laps. Ford added his name to the OJ Henderson Memorial Trophy, won over recent years by Michael Culling (the only multiple winner), Josh Atkins, Eddie Dawkins and Tom Scully. The Senior Final was another beauty with Tom Beadle taking the win in a photo finish ahead of Otago's Brad Evans with West Coast North Island's Denay Cottam in third. 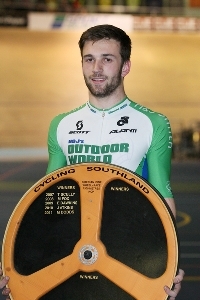 Beadle's Wheel Race win comes hard on the heels of his claiming a second prestigious award, the MacLean Cup, for winning the Men's Kilo at the Southland Track Championships in December. Elsewhere, there was great racing from start to finish. Canterbury's Christine Lambley showed she will be one to watch at the Age Group Nationals at the end of February with an impressive performance in winning both sprints in the U13 Boys and Girls and U15 Girls Points Race. Chloe Jenkins finished second with Kate Ward completing the girls' clean sweep. Likewise, Matthew Trenchard will be worth watching at Nationals. The Canterbury youngster took out the U15 Boys Points Race by a point from Corbin Strong and Mitchell Morris. Eden Ronald took out the U17 Girls Scratch Race ahead of Makayla Smith, bravely getting back on her bike after a nasty spill on Friday night, with Ellie Cowan taking the minor money. In the boys race Josh Carpenter made his move two laps from home but couldn't hold on with Hamish Beadle finishing over the top of Hayden Strong and Tom Sexton grabbed third. Natasha Hansen dominated the Invitational Women's Keirin, making her move as they got the bell and she cleared out to take an easy win from Steph McKenzie and Sequoia Cooper. The Men's race went to impressive Daniel Rafferty of Mid South Canterbury who had a very good couple of night's racing. With the inside line he made it too tough on Lee Evans and Tom Beadle who couldn't get around him down the final straight. The Division 1 Women's Elimination was won by Erin Criglington from Georgia Vessey and Nic Stevens while Russell Ownsworth had a little much in his legs on the final lap for Nathan Adams with Neil Jamieson third. The Div 1 Men went to Mike White over a strong ride from Brendan Akeroyd and Mid South Canterbury's Brendan Whalley. The Elite Women's Mystery Preme Scratch Race was won by Sequoia Cooper who chased down the break from Laura Heywood down the back straight on the last lap with Holly Edmondston taking second prize narrowly ahead of Alysha Keith. Steph McKenzie added the Preme to her weekend winnings and did well to finish the race to collect her prize. A four-man break saw Otago's Brad Evans claim the win from Josh Haggerty and Pieter Bulling with Cam Karwowski earning some pocket money in taking out the Mystery Preme earlier in the race. Lucy Dawkes powered away to win the U13 Girls and Boys Scratch Race ahead of Josh Miller and Emily Paterson while Max Jones, Joshua Smith and Sam Cullimore finished one, two, three in the U17 Non-Qualifiers Handicap. The back-markers got the job done in the first senior non-qualifiers handicap with Lee Evans getting it ahead of Karl Watson and Dillon Bennett while Pieter Bulling, Bradley Tuhi and Anton Oconnell shared the spoils in the second race. Lambley backed up her earlier Points race win by taking out the Mystery Distance in front of Kate Ward and Chloe Jenkins while the U15 Boys race was won by Kain Bowles who got in front of Matthew Trenchard and Corbin Strong. The Under 17 Girls race went to Makayla Smith who came from behind to beat Sarah Ownsworth in to second with Auckland's Ellie Cowan third. Jack Ford claimed another win in the U17 Boys Scratch Race with Max Jones grabbing a deserved second place and Hayden Strong third. 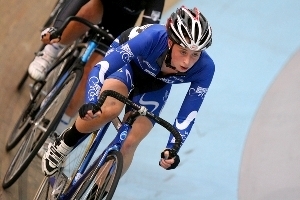 Erin Criglington left the Div 1 Women's scratch race field in her wake as she powered to a win by close to the length of the straight with Nic Stevens taking second ahead of Georgia Vessey in third. Russell Ownsworth again proved too powerful for the Div 2 Men's field, taking out their 12 lap scratch with Troy Boniface and Nathan Adams. Meanwhile Anton Oconnell picked the perfect time to make his move at the sharp end of the Div 1 Men's race and held on for an impressive win in front of Andrew Ward and Mike White. 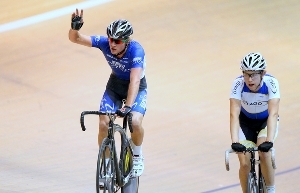 Natasha Hansen and Steph McKenzie fought out a two-way battle in the Invitational Women's 3-lap scratch race. McKenzie drew level but couldn't get passed her NZ team mate. Erin Criglington took third. Tom Beadle's legs held up to one final pounding in the Men's 3-lapper with the Junior Worlds representative holding off Lee Evans and Karl Watson for the win. The night finished with the Elite Eliminations with Alysha Keith outlasting Laura Heywood to take the Women's race. Holly Edmondston took third. Pieter Bulling capped his night by beating Brad Evans in the final sprint with Shane Archbold taking third. The ILT New Year Cycling Series continues on Sunday from 10:30 with the Ascot Park Hotel Criterium followed by Monday night's 83rd Gore to Invercargill classic, starting at 6pm.